Does Vitamin D deficiency cause diseases? 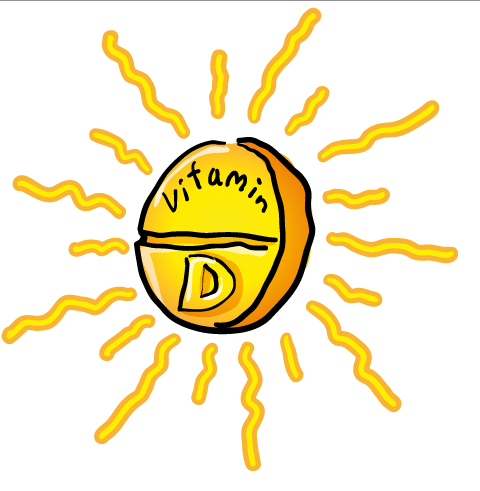 Vitamin D help to absorb the Calcium that is required by our body. Rickets in children and osteomalacia in adults are caused by vitamin D deficiency. The recent studies have found that Vitamin D deficiency may increase the risk of developing many diseases like breast cancer, prostate cancer, heart diseases, depression and weight gain. Those with adequate amounts of Vitamin D are more immune to these diseases according to the studies. How does Vitamin D actually help? It makes bones very strong and increase immunity power. It has other benefits like Strong nerves and muscles and it helps cells in our body to perform its life cycle very efficiently. It is very easy to get Vitamin D. Expose the body parts ( hands, face, legs, upper back ) to early morning sun. Doing this atleast twice a week will help your body to gain required amount of Vitamin D.
This very important Vitamin for the body can be also gained by eating foods that are rich in Vitamin D.
Salmon Fish, Tuna Fish, mushrooms, milk, curd or yogurt, cheese, egg are some foods which can provide you good amount of Vitamin D.
There are Vitamin D capsules and tablets are available as supplements at drug stores but use them with medical practitioner or Doctor advice for more advanced treatments. The best practice to get Vitamin D is by adopting natural methods.